Writing a book is long process often filled with notes, maps, character charts, soundtracks, and Sticky Notes. If a novel is 350 pages long, there’s probably a stack of papers twice that high that led up to the publication of it. Whether it was an editorial letter or a rewrite or a list of background stories, authors are constantly juggling the writing of the journey and the creation of it—two very different things when you consider not all world-building and character creating makes it into the final story. But that doesn’t mean your notes have to be thrown away. It doesn’t mean that they have to collect computer dust either. You, as the author, can share them, and readers might just love you for it. What are extras? These are elements of your story that didn’t make it into your novel but aspects you can still share with your readers. Below are some ideas to try out. All three of my series have an Extras page on my website. 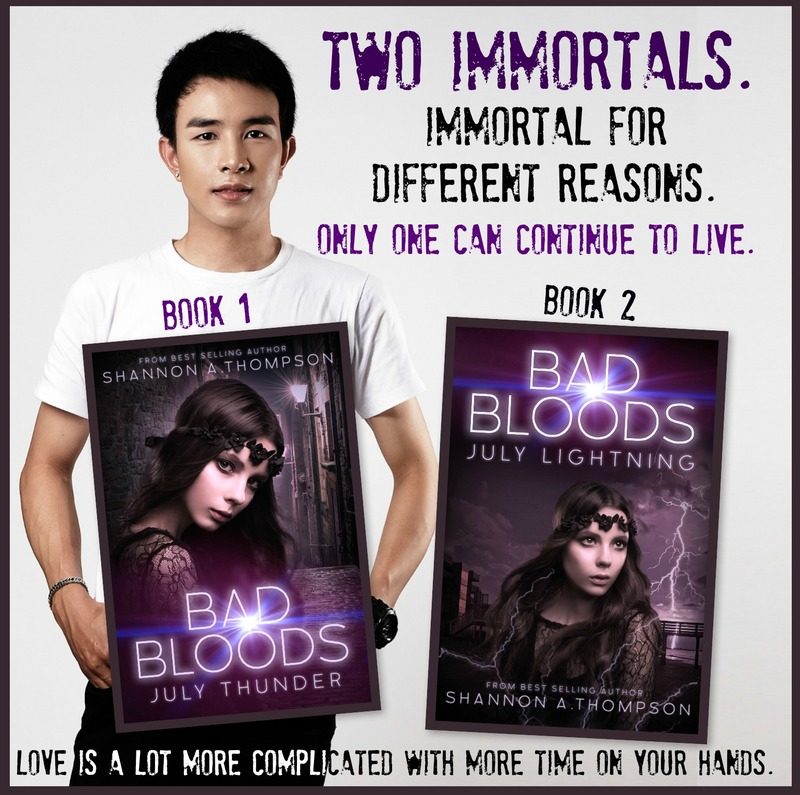 (Check them out: Bad Bloods, The Timely Death Trilogy, and The Tomo Trilogy.) What do I include on my overall Extras pages? Anything and everything. I link to articles that relate to the building of the novel, I share fan art by awesome readers, I create games and personality quizzes, and I list anywhere else they might find other fun tidbits about the book. This could be where you offer signed books or swag. It could be where you post a map (if that’s not in your book) and/or maps of particular rooms. You could include music or favorite quotes or super fans who’ve sent photos in with your books or you at a signing. I have calendars that show what dates my chapters take place on. I’ve included scrapbooks where I pasted pictures on the pages that reminded me of characters. I’ve even discussed how much particular characters have changed. Any notes that helped you build would be great for this kind of page. Example extras: fan art, calendars, and maps from my pages. Remember that scene you LOVED like crazy but your editor convinced you to cut? (Let’s be honest. It needed to be cut. It didn’t move the story forward, but it was SUCH a great scene.) Well, this is what Wattpad is for. 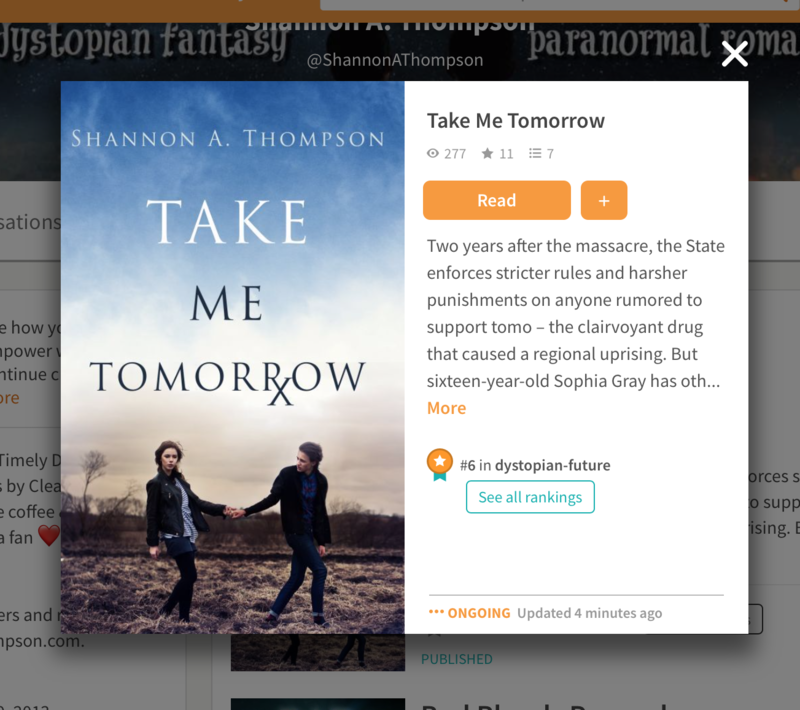 Not only is Wattpad filled with aspiring writers and avid readers you can connect with, you can also give more to the fans you already have by posting shorts either cut out from your novels or brand-new short stories that are simply related to your novel. I’m doing this with my new release right now. Since there are so many characters, many of their background stories were very limited in the novels, but I had written longer, detailed versions, and I didn’t want them to sit on my computer. I’m now posting all their origin stories, spanning them out over a series of weeks, and they can be read as extras—before, after, or while reading Bad Bloods—or read just for fun. Never let that cut scene you love go to waste ever again. Like Wattpad, there are dozens—if not hundreds—of websites out there you can use to host extras for your novel. Did you listen to certain songs while writing? Create a playlist on YouTube or 8tracks so readers can listen, too. Did you make a Pinterest board for all of your characters? Great! Link to it. Let readers see a physical representation of your imagination. Try to make personality quizzes (Which character are you? Which couple from the book are you? How long would you last in my post-apocalyptic story?). Think of your content and have fun with it! After all, you wrote an entire novel about it. So, again, just a little list to think about: Fan art, any notes you had, related articles, maps, calendars, soundtracks, Pinterest boards, personality quizzes, swag, signed books, and more. The only thing I’d warn against is spoilers. Be sure to warn and label spoilers accordingly. And, of course, have fun! If you sign up for the Bad Bloods Thunderclap, I’ll send you signed swag from The Timely Death Trilogy and Bad Bloods. All you have to do is sign up, take a screenshot of your support, and email me at shannonathompson@aol.com. What’s a Thunderclap? It’s an automated message that will release from your Twitter, Tumblr, and/or Facebook page the day of the book release to help me reach more readers. I only have to reach 100 supporters for the message to go out, so any and all help is appreciated. On top of that, you can officially pre-order both books in the Bad Bloods duology. If you pre-order November Snow, I will send you November Rain for review today! (And if you write a review, I will send you November Snow right after that.) This means you could read these two books RIGHT NOW just by preordering and sending me a receipt to shannonathompson@aol.com. 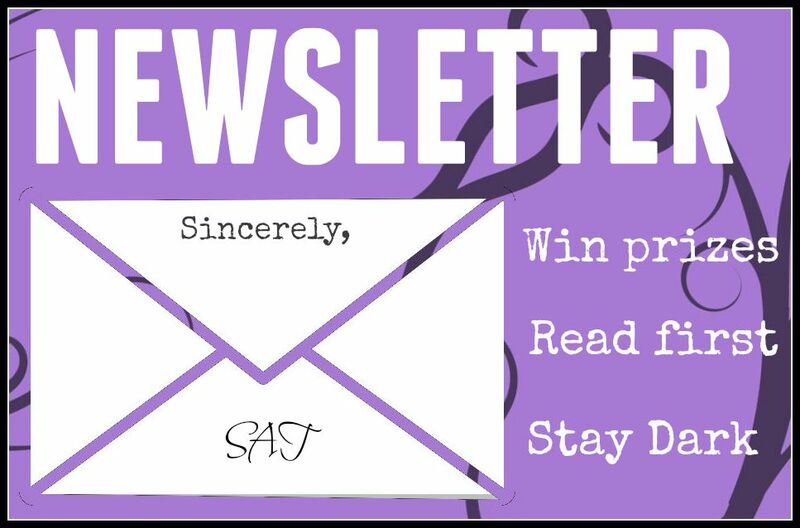 All of this news (and more) went out in my newsletter on Sunday, so if you’re missing out on the latest giveaways, you should sign up here. I have a confession. As an #authorofinstagram, I post daily pictures of my writing life that are more or less fictional stories themselves. Sure, my cats are real and that coffee was definitely mine, but not all of my posts are live (although a fair portion of them are), and the mood I describe might not necessarily be accurate. Don’t judge me. It’s called marketing for a reason. What I’m actually doing: Flipping through #bookstagram and #bibliophile to see what everyone else is reading so I can add more books to my already ridiculously long TBR list. Oh, and reading. I’m probably reading. I’m also probably reading indoors with pajamas on. Not in the fall leaves or the snow or whatever else I took a picture of me doing hours ago. Losing my mind. No. Really. I drink too much coffee a day. Sometimes, my fingers shake. (And it doesn’t even wake me up.) I’m an addict, addict. I drink it because I can’t function without it…which means every coffee picture you see is never my first cup of coffee that day. I’m like that guy from the McDonalds commercial who can’t talk to anyone until he has his coffee. I’m having a coffee right now. (Or am I?) Since coffee means I’m losing my mind, coffee also means that I’m about write, because writing and losing your mind go hand-in-hand. They’re so cute, right? Right? They’re perfect little cuddly gremlins…I mean, cats. There is a reason I call my cats gremlins. As soft and furry and sweet as they appear on my Instagram—trust me—we have our moments around here. Between my desk’s wires (Boo Boo’s favorite thing to tackle out of the wall) and Kiki’s ongoing nemesis battle with Bogart (no, really, they fight all the time), I am constantly chasing them in and out of my office. They attack pens. They attack papers. They attack dangling headphone wires. And sometimes, they throw up on my feet. But hey, that’s love. The first Bad Bloods teaser released! You can expect a new one to release every #TeaserTuesday via…you guessed it…my Instagram. I’d love to connect with you on there, so feel free to send me a message, and be sure to pre-order Bad Bloods by clicking the links below. It’ll only be available for 2.99 for a limited time, so take advantage of the CTP sale while you can. In other news, Clean Teen Publishing is about to host an AWESOME giveaway/release party THIS Friday on Facebook. Click the link to check out the CTP Marvelous May Reads Release Party. I will be there! Also, don’t forget, the first book in The Timely Death Trilogy is currently FREE! I wanted to give a shout out to Instagram’s Devyn T. for drawing some fan art. Feel free to send me your art any time! I love seeing it. In fact, it makes my day. In an ever-changing social media frenzy, it is easy to feel overwhelmed when starting out on social media or as you continue to grow your Internet visibility. One of the topics I constantly see discussed in the numerous forums I lurk in is blogging. Do authors have to blog? (No.) How many times should I blog a week? (As often as you want to.) But the main question I see is almost always the same. What should I blog about? It might sound strange for me—an avid blogger—to tell others that they shouldn’t blog if they don’t want to, but I am a firm believer in writing what you want to write, and I use that philosophy toward social media as well. Hate Facebook? Stay off of it. Love Twitter? Tweet all day long. As a reader myself, I can tell when a writer isn’t enjoying their story or their posts or if something is lazily thrown together, and I am no exception. I guarantee someone can tell if I am bored or half-interested in what I am doing. There is a connective energy behind words, and that energy will get through to the reader, positive or not. Now that I have said that, I can admit I’ve had my moments where I didn’t want to blog. For those of you who are new to my website, I’ve been blogging on here since September of 2012. During my first two years, a post went up every other day—all of which were focused on reading and writing—but I’ve changed my blogging schedule almost every year. This year, for instance, I host guest articles or revamp popular past articles on Mondays (yes, I’ve covered this topic before, and you can read the original by clicking the link below this article), I discuss new writing/reading topics on Wednesdays, and I have fun on Saturdays by sharing what I’m writing, reading, publishing, baking, watching, etc. I’ve allowed myself to morph my website as I grow and change, so I don’t lose that energy or love for blogging. Knowing when to change your focus and energy is going to help you keep your momentum up while also maintaining your voice. It’s always okay to try something new. In fact, I encourage it. I encourage many things when it comes to blogging—one of which relies on planning ahead, writing posts in advance, and scheduling posts before necessary. That way, if you need to step away for a few days due to any reason, you can without disappearing completely and/or getting discouraged. In fact, I generally schedule posts about two weeks in advance. (As an example, this article was written and scheduled on April 5.) This helps me manage my life outside of blogging. I could write my entire week of blog posts in one day, which allows me to spend the rest of my week working on other things. If there happens to be a timely topic I want to post earlier, all I have to do is push all of my other articles back. Sometimes, before I know it, I have an entire month ready to go in one week. But what do I write about? Well…I write about what matters to me, and I encourage all bloggers to sit back and consider what matters to them. Do you love Pinterest? Talk about how images have helped you shape a character. Do you struggle with certain grammatical phrases? Discuss how someone can overcome writing faults. Did you just read a wonderful novel? Share your thoughts on the story. One topic I think helps beginning bloggers is to write a reaction piece to another blog post that inspired them and link back to that post. It helps connect you with other bloggers and readers while moving a discussion forward. And, of course, don’t worry about getting a ton of followers the minute you start. Blogging is about being genuine, having fun, and sharing your thoughts with others. It’s not about getting famous or a thousand reads in one afternoon. Worry about viewership later. For now, focus only on being you—your brand—and dedicating yourself to a schedule of topics you’ll enjoy discussing with others. Topics are everywhere. Pay attention to what you discuss with your friends and family. Jot a note down when an article catches your eye, and write about it on your blog later. Blogging—or any social media—doesn’t have to feel like marketing or work. It can be fun and uplifting. Simply let the words guide you toward discussions you care about, and more discussions will follow. Clean Teen Publishing is hosting a #AskCTP Giveaway on Twitter April 27! I’m REALLY excited about this live author-reader Q&A, and I really hope you all can make it. You can even win a CTP Mystery Box, which includes 1 to 2 print books, swag, and more. And that’s not all. If you love free stuff, Minutes Before Sunset, book 1 of The Timely Death Trilogy, is FREE right now. Recommended to YA paranormal romance fans who want new creatures never seen or heard of before. One wonderful fan, Pau’s Digital Playground, created a fun cosplay as a member of the Light. In The Timely Death Trilogy, the Light and the Dark are supernatural, double identities that fight to the death. While members of the Dark have the powers to teleport, talk telepathically, and basically blow things up with magical bursts of energy, the members of the Light can create illusions, transport to another dimension, and transform at any point. (Members of the Dark are limited to the night.) Oh, and each sect has a descendent who wields a sword. Dun. Dun. Dun. Although many of you know me as an author, I work a full-time day job as an editor and marketer. I also give publishing advice and help writers with their websites. It was during this job one of my clients asked me if I had ever participated in a #Pitch competition. All of the Pitch competitions are different, but they generally have a theme, are run by a number of agents and mentors, and at the end, a couple of lucky authors get to skip the slush pile and apply to agents and publishers directly. Most of them you apply to via email (following all the rules! 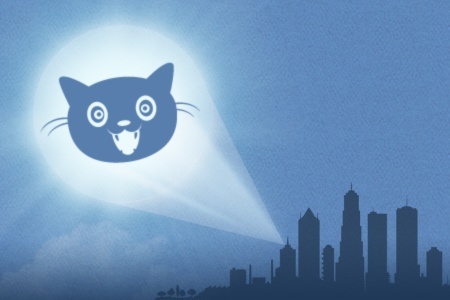 ), and then you have daily discussions via Twitter while the agents are picking winners. That’s the basic rundown. Now, after I talked to my client about this, I told them I would do some more research and figure out how to join the next one and what to do during it. Huzzah! #PitchSlam and #NoQS (Nightmare on Query Street) were taking place about a month in the future. (These events happened in October. Isn’t this time warp thing crazy?) I found the rules via the hosts’ blogs, and I relayed all of the information and deadlines. I told my client everything, but they still weren’t sure. They wanted personal information from someone with firsthand experience. At the time I was struggling with approaching my own publisher with my pitch for my latest manuscript, so I figured why not get advice from people in the industry? I was too close to the manuscript—much in a way that an editor can’t edit his or her own writing alone—and I needed help from someone else. I am going to start out by saying, I LOVED this entire experience. Not only was there an awesome theme surrounding Harry Potter, but there was also three separate days of events and support from the agents and the community. 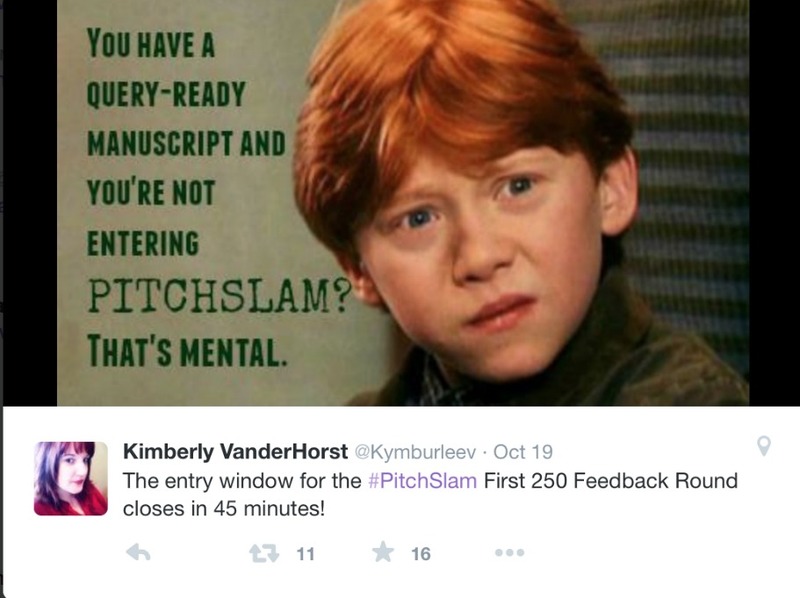 On day 1, 200 lucky writers received feedback on their 35-word pitch. On day 2, another 200 lucky writers received feedback on their first 250 words. I was super lucky. I was picked on both days, and by the end of the week, six mentors had helped me fine-tune my project. I was through the roof. And from reading the feed, so were many other writers. Pitch competitions are priceless. I made friends in the writing community I might not have ever made, and I learned a lot from those around me. I had fun, and I never once saw someone feel defeated by “losing.” Because there is no “losing” in these competitions. There’s just friendship, support, understanding, and teaching. I highly recommend trying one out if you have a completed manuscript and you’re looking for an agent/publisher and/or honest/professional feedback on your work (or even if you just want to make some writer friends)! Follow @Michelle4Laughs on Twitter for information on Sun versus Snow, a query competition coming in January. Info. There’s another PitchSlam in March of 2016 as well. Info here. It’s a bi-annual contest. Here’s a list of the PitchSlam Profressors. Follow them for future updates. 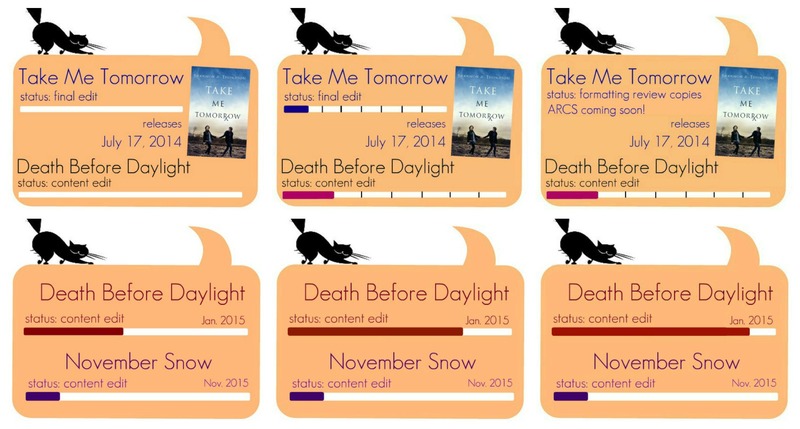 News on PitchWars: They’ll have news on the next one after the New Year: Info. If you’ve been with me for a while, you might remember when I used to have a progress bar on the right side of my website. I no longer have one, but I’ll talk about that in a minute. Since I no longer have on, my progress bar revolved around my current writing projects. Generally, I had two novels at once, and I included the status (ex. Editing) as well as the estimated release date. I have samples below, but I mainly outlined when my novels were being written, edited, and formatted until the release date. That being said, I loved having progress bars on my website, and I encourage every writer to at least try it for three months. Why? 1. It’s interactive with readers! A progress bar keeps your readers up-to-date. Not only do they know where you are in your work but they can also talk to you about where you are. Everyone can be a part of the process now, and as a reader myself, I think it’s exciting to see all the steps as they happen. Want to know if I’m editing? Want to know if I’m reviewing edits? Now you know, and you can know where I’m at during every step of the process as the weeks pass. It builds up all that hype, and you can celebrate every milestone with your readers! This is actually the reason I started doing it. When I began receiving regular emails about my current status with my next novel, I wanted to find a way to keep everyone updated by just visiting my website, and it worked wonders for everyone! We could chat whenever we wanted about where we were at and skip the questions so we could go directly to celebrating progress. I definitely recommend progress bars to new writers because it will help you from getting discouraged. At first, it won’t seem like a lot, but when you see your bars over months right next to one another, you can see how much you are accomplishing, and that’s a great feeling! It can help you set goals and encourage yourself. But be warned. Some writers have the opposite feelings about bars. They feel discouraged, like they aren’t moving forward, and it sometimes puts too much pressure on writers, so while it works for many—it’s fun for me—it has also felt worse for others. So, figure out what type of writer you are. If you love writing goals, this might be for you. If you love keeping track of your word count, this might be for you. But if writing goals and word count makes you shrink away from your computer screen, I wouldn’t do it. I would just write. So why don’t I have one anymore? Well, I probably will again soon! Honestly, though, I deleted mine when my old publisher closed down because I knew I couldn’t update anyone. Now that I’m back in the swing of things, I will probably keep everyone updated on my writing progress with November Snow and other projects as we move forward. If you want to try one, I make mine via PicMonkey. It’s simple and free—and fun! I love looking back on mine, and I love looking forward to new ones. What about you? Have you ever tried a progress bar? Would you ever consider trying one? 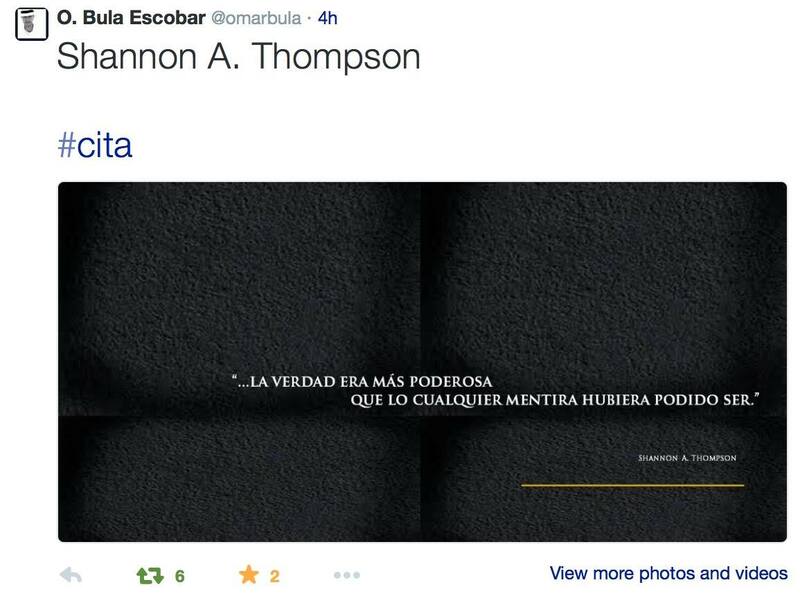 Special thanks goes out to Omar Bula Escobar – former UN representative and author of “El Plan Maestro” – for translating and sharing a quote from Minutes Before Sunset yesterday on his website! In my latest interview, I was asked if I have a message for my fans, and I do! Click here to read my answer on Mel’s Shelves. The interview is right below her review of Seconds Before Sunrise where she wrote, “I was drawn into this story and felt like I was there with them. I loved the ending and I’m looking forward to seeing where this story will go next!” Join the dark by clicking here before the last novel arrives this January. A new poem – What I Wanted to Wear for Halloween – has been added to my interactive poetry series – now both on Wattpad and HelloPoetry. Comment, vote, or share for your chance to be mentioned on my YouTube channel! I am starting off November a little differently – with a small poll. I promise that it is small, and I hope that you take a minute to help me out. This poll has two questions that can affect my publishing discussions and the content of this website. Just comment below or shoot me an email at shannonathompson@aol.com. What would you like to see published in 2015? What would you like to see on ShannonAThompson.com? I truly appreciate all of your time and help. Things have been really hard in my personal life recently, so I’ve had to reevaluate a lot of things. Unfortunately, that includes my publishing life and this website. I won’t lie. There might be a major delay or a dramatic change in the near future, and I hope you do not despise me because of it. I truly am sorry – because quite frankly I feel as if I am failing you right now – but I am trying my hardest to keep up with everything, and your responses will help me solidify decisions I need to make. I truly want your input on those decisions because you – as well as the wonderful AEC team – are the reasons I am able to pursue my writing life. I know. I know. Shameless marketing. But I need your help, and I hope there is no shame in asking for it. The next section of my interactive poetry series on Wattpad has begun! You can read the first poem – The grave of my teenage daughter – by clicking the link. Remember to vote, comment, and/or share for your chance to be mentioned during my next YouTube video. In other news, Star-crossed Book Blog reviewed Take Me Tomorrow, and she included excerpts and viewpoints on the characters. Read the full review by clicking here, but here’s a small quote, “Noah was a mystery that I enjoyed unraveling. He was broken, dark and even though he never showed it, I couldn’t help but feel as though he was suffocating from having the weight of the world on his shoulders.” Click here to check out Take Me Tomorrow on Amazon. 2. Can I stare at this picture of myself forever? – Generally in reference to whatever photo we decide to use for various purposes, including our websites, business cards, and book covers. I don’t care how awesome someone looks or how stunning a photographer makes you look, seeing the same photo day-after-day-month-after-year is really strange (and borderline creepy). It is almost like staring in the mirror too long. Eventually, you start thinking, “Do I really look like that? Is that how people see me?” Ah! I just want to hide my face in a book. 3. Are my characters (fill in the blank)? – Too happy, conceded, whiny, or – the worst one – flat. It’s this solid shadow of worry that is impossible to forget. 4. What am I doing wrong? – Okay. Okay. This is just a question that I’m sure everyone has about numerous things in their life, but I feel like this question represents so much for authors. Why are my rankings so low? Why haven’t I gotten more reviews yet? How can I connect further with my darling readers? Everything is lined with this “I know I can do better, but first I need to know what I’m doing wrong so I can improve” and it slowly becomes this obsession of Googling for advice and begging fellow authors for some sort of know-it-all secret, but it results in one thing: you’ll get better. And you slam your forehead on your desk because you know they’re right. 5. 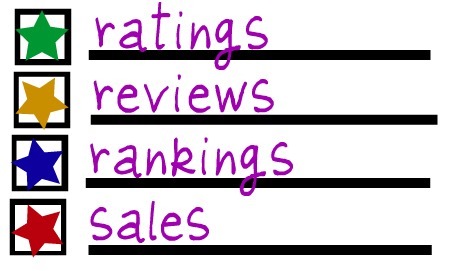 Ratings, Reviews, and Rankings (Oh! And sales!) – Even if we try our hardest to ignore them, they are often discussed within the writing community. I can admit that I try to pay attention to everything – especially the reviews my readers post, because I look at it this way: if they are going to take the time to read and review my book (not to mention send me a link), I am definitely going to take the time to read their thoughts. Thanking them is the least I can do. That being said, this combination of numbers and scales can be just as exhausting and discouraging as it can be enthralling and encouraging, so there’s definitely a careful line we have to keep in mind if we’re going to keep our minds on these things, and I definitely don’t recommend that every author pay attention to these things. It’s completely up to the author’s personal preferences, especially in terms of whether or not someone can just have fun with it. (But that’s a different discussion entirely…that I’m already planning on posting about in the near future). 6. What am I going to do in 2017? – Yes. 2017. I don’t know about many authors, but I think a lot of authors have year-long plans if not longer plans as to what they want to work on, release, and distribute next. While we’re publishing one novel, we’re probably already writing another one, and we might be writing a second one when we’re on break. It takes years to write and publish, so writers’ lives are generally planned out a year in advance. It can get overwhelming sometimes, especially when you want to fit in a new project or change directions entirely. 8. Am I reading enough? Am I writing enough? – Reading and writing go hand-in-hand into the sunset…while riding separate horses…that sometimes like the go in different directions. Balancing two passions can be hard, sometimes impossibly difficult, but we find a way. 9. Am I writing for fun enough? – Much like the above issue, it can go hand-in-hand with simply writing, but writing with deadlines can sometimes take that original fun out of it, and even authors need to take time to write something silly they never have to worry about releasing or sharing with four editors and the world. 10. Social Media – It was the best of nights and it was the worst of nights. I love it, and – sometimes – I do hate it. (Please don’t tell social media that.) It can be repetitive, and it can be so exciting that you fall off your desk chair and your cat leaps five feet in the air due to your sudden movements. Even then, your eyes can only stare at that little glowing screen for so long before you have to step away and remember what real-life colors look like without an alien illumination behind them. I can still love how it connects me with you all, though, and I enjoy speaking with everyone in the comments below, but I also worry about whether or not you’ll enjoy my next article, my approaching poem, or my non-HD video. (Sorry, a writer’s life isn’t always a rich life. I can’t afford HD yet, even though you all deserve it!) But I try to push my worries away, so I can fully enjoy the ride. Let’s enjoy this ride together! Comment below, and we’ll chat about what you worry about as a reader or writer. Honorable mentions go to editing, mistakes that make it through editing, and other writer problems we all tweet about.